When I first began examining the claims of the Book of Mormon, I was an atheist who had just become interested in the person of Jesus. As a skeptic, I understood the importance of corroborative evidence when trying to determine if a witness statement is reliable. I began looking for corroboration related to both the Christian and Mormon scripture. I was immediately struck by the stark contrast between what has been discovered related to Old Testament history and what has been not been discovered related to the alleged history recorded in the Book of Mormon. There’s a reason for the absence of maps in the Mormon collection of scripture. There are no archaeological discoveries of any cities described in the book of Mormon. Worse yet, there aren’t any discoveries of any of the names of characters mentioned in the 1,000 year span of American continental history chronicled in the Book of Mormon (from 600BC to 400AD). I don’t expect archaeology to verify everything recorded in an ancient book, but I do expect it to verify something. Many of the Old Testament accounts bearing strong resemblances to other ancient accounts discovered through the efforts of historians and archaeologists. The Great Flood account in Genesis 6-9, for example, is very similar to Babylonian and Akkadian accounts discovered in the same region of the world. Some of these accounts may even pre-date the writings of Moses, but all describe a catastrophic flood event predating the generation of the authors. In addition, the Sumerian King List records kings who reigned for long periods of time. Following the great flood, this Babylonian document records much shorter reigns, mirroring the life expectancy patterns described in the Old Testament. The 11th tablet of the Babylonian Gilgamesh Epic speaks of an ark, animals taken on the ark, birds sent out during the course of the flood, the ark landing on a mountain, and a sacrifice offered after the ark landed. In addition to the flood story, there are other non-Biblical accounts recording events found in the Old Testament. The Mesopotamian Story of Adapa tells of a test for immortality involving food, similar to the story of Adam and Eve in the Garden of Eden. Sumerian tablets record the confusion of language as we have in the Biblical account of the Tower of Babel (Genesis 11:1-9). This Sumerian account records a golden age when all mankind spoke the same language. Speech was then confused by the god Enki, lord of wisdom. The Babylonians had a similar account in which the gods destroyed a temple tower and “scattered them abroad and made strange their speech” (Stephen L. Caiger, Bible and Spade, 1936, p. 29). There are many points of agreement in overarching narrative generalities between the Old Testament and the surrounding ancient cultures. 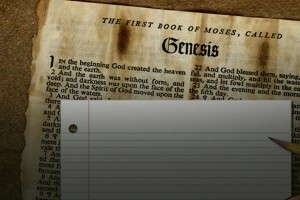 The historical record of the Old Testament is not alone in the history it records. There are other ancient records affirming the overarching generalities and specific details of the Old Testament. There are no such corroborative ancient records providing similar verification for the history of the Book of Mormon. It is the singular lonely voice related to the historical narrative it describes. While archaeology continues to corroborate the Old and New Testament, archaeology only exposes the erroneous nature of the Mormon record.